The Dig In Weblog: Garbage Day? Garbage Day?, originally uploaded by funkaoshi. A photo from fall of last year. 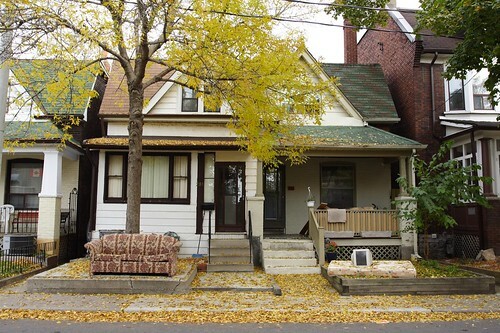 There are so many charming semi-detached homes in the neighbourhood. It's at times quite amazing how different two houses that share a common wall can be.